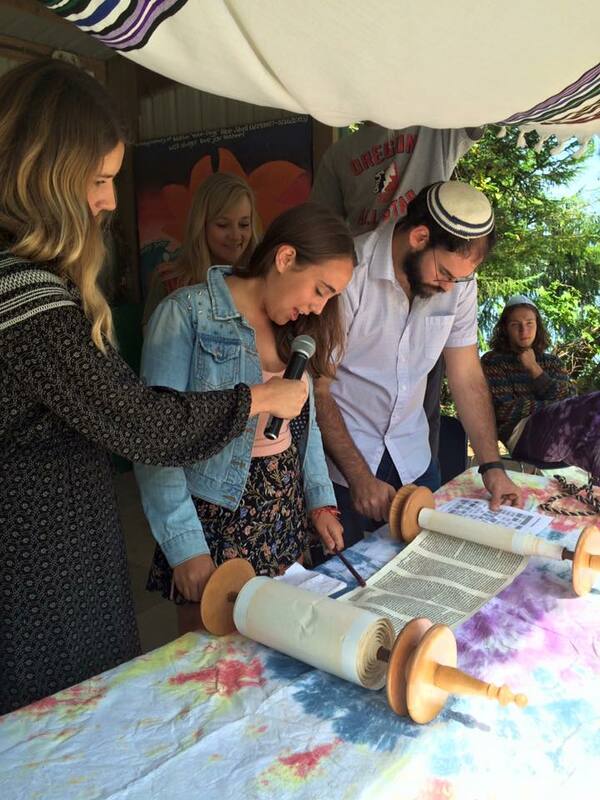 On Aug 13, 2016 the BB Camp community was honored and privileged to celebrate the Bat Mitzvah of Mollie Biskar, as she was called to the Torah for the very first time. 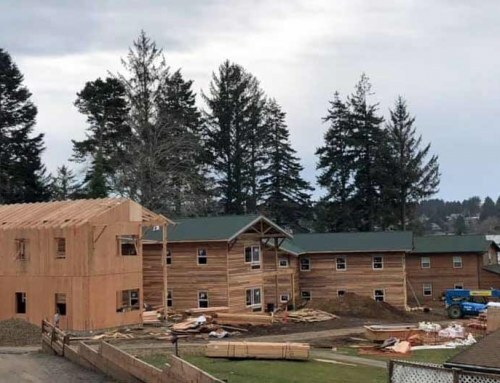 Mollie is an 18 year old BB Camp counselor and a long time camper. When she was 8 years old, her parents asked her if she wanted to start Hebrew school. Her reply was “no,” and since the family wasn’t observant, they chose not to pursue Hebrew school for her. 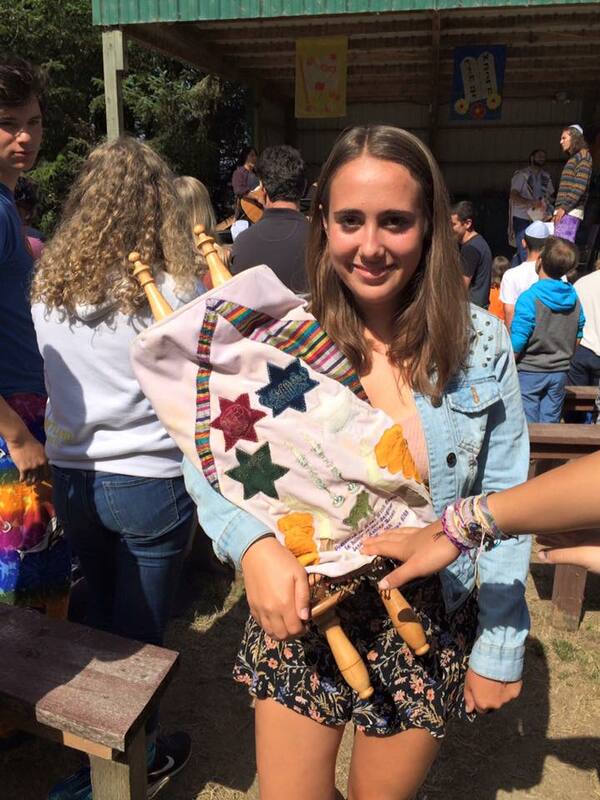 Over the years, Mollie’s Jewish identity and love for Judaism grew as she came to BB Camp summer after summer. 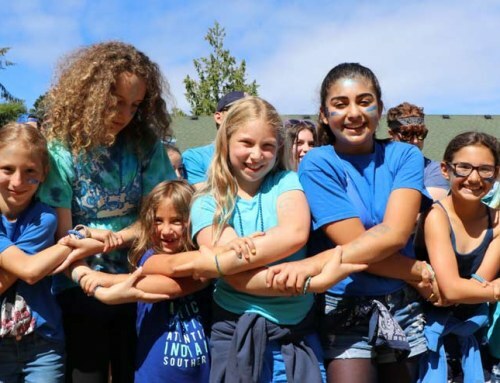 At the beginning of this summer, Mollie decided that she wanted a Bat Mitzvah at BB Camp. She studied with Natan Freller, our Chizuk Fellow (a Rabbinical student), and prepared all summer. 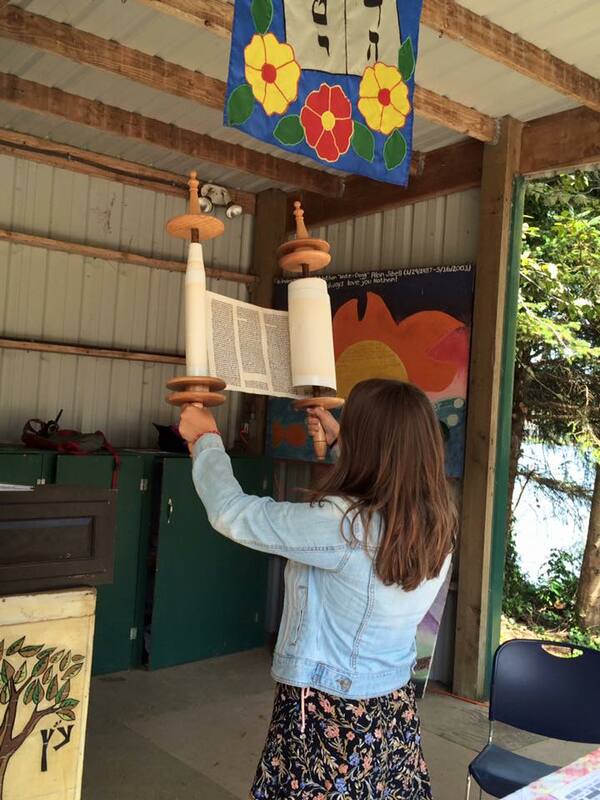 Yesterday, at our very last Shabbat of our 2016 summer camp season, Mollie assisted in leading Shabbat services and was called to the Torah. Her family flew in from California to join us. on her face. Her tremendous happiness and pride warmed everyone’s hearts. She did a beautiful job. Tears filled my eyes, as I watched this young woman embrace her Judaism due to her BB Camp experience. To get a glimpse of the Bat Mitzvah, please visit here. A truly amazing moment!